When pondering an art project that could effect real change, Zach Wientjes used Jackson Hole High School’s digital fabrication lab to bring his vision to life. In his school’s “Fab Lab,” Wientjes created two life-sized elk silhouettes covered in reflective material. They debuted May 12 at Eco-Fair and were installed shortly thereafter along Highway 26/89/191 atop Fish Hatch Hill. The location just inside the south boundary of Grand Teton National Park between the multi-use pathway and the highway also borders the National Elk Refuge. 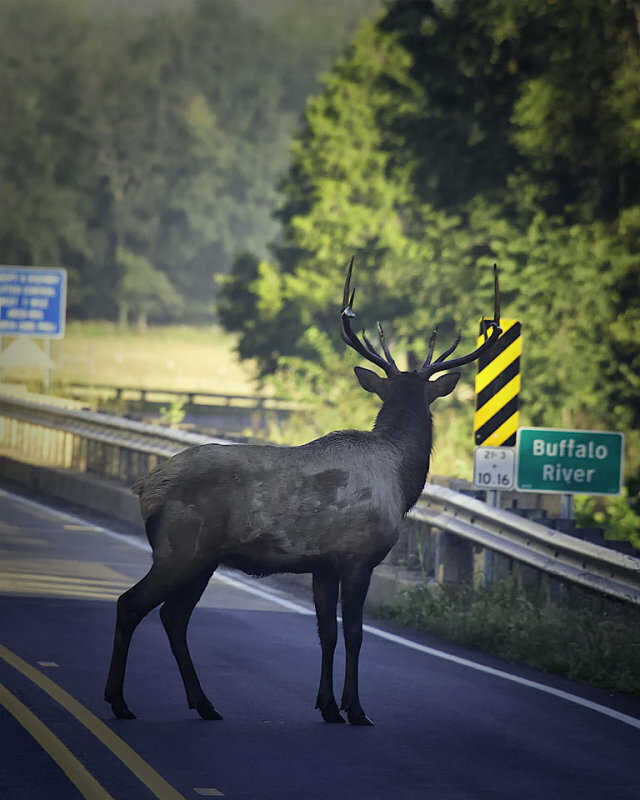 It’s a common spot for migrating elk to cross the road. Wientjes, a junior, had help from artist Bland Hoke of Jackson Hole Public Art, according to a press release from the Elk Refuge. Public art that has the higher purpose of activism has been popping up all over the valley.